Every year Paizo has opened this contest up to aspiring RPG designers to prove they've got the design skills to be a force in the industry. This time we turned up the challenge dial with a summer-fall contest schedule, a more rigorous Open Call round (where the voters are the sole factor in selecting our contestants), and fast tracked design rounds to narrow down our new RPG Superstar. 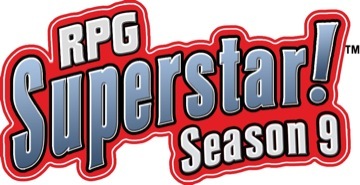 We're excited to announce that we've narrowed down the winner of RPG Superstar Season 9! Congratulations goes to Nick Wasko! The voters have spoken, and work will begin soon to turn his proposal into a full-fledged Pathfinder Module!